WebGUI is an open source content management system that helps to manage contents on the websites. It is a web application framework for easy content management which includes the ability to develop and implement new features together with managing the contents on website. This open CMS is written in perl and its design is simple so that it allows code to be easily accessed, changed, and replaced. WebGUI runtime environment has the prerequisites needed to administer the WebGUI sites. The main WebGUI’s prerequisites include Apache, mod_perl, MySQL, Perl etc. WebGUI’s runtime environment offers high performance over other types of installs. WebGUI Assets are the components of any WebGUI sites. Even the pages of websites can be considered as Assets. New assets can also be added to WebGUI. Some of the common WebGUI assets are – Page layouts, navigation menus, templates etc. WebGUI content handlers handles content part of each specific event, and an easy method of adding new functionality to the WebGUI without using the WebGUI assets and url handlers. It is the easiest plugin for WebGUI. Url handlers help to attach some functionality with the website url. These url handlers are simple, efficient and easy to use for WebGUI operations. WebGUI supports wide range of macros with their application. Use of these macros make the development become easy. And WebGUI also supports custom macro creation option to users. 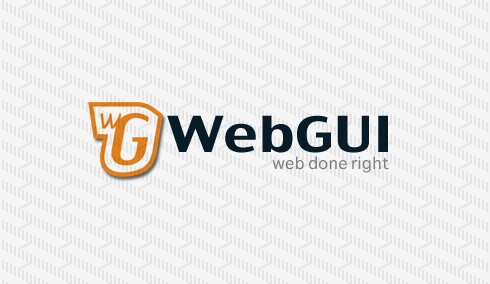 WebGUI Worldwide(W3) is a network of sites providing WebGUI services globally. This includes free support in different languages, hosting and development services etc. Our developers have outstanding experience in working with WebGUI. Making use of all the features of WebGUI our team can develop feature rich CMS for you as per requirement. Apart from creating a solution from scratch we can help you enhance your already existing system with unique features for your business needs. If you would like to migrate your current website to WebGUI, we shall get it done for you without any data loss. ExpressionEngine (EE), is a multi-purpose content management system. The user interface is designed to make website and its content management easy, simple and user friendly as possible, without sacriﬁcing the power of the platform. Quintet can have your website built using ExpressionEngine. Drupal allows to manage a wide variety of content types on websites and it serves wide spectrum of users for their websites. Quintet offers Drupal Web development services and Designing for business enterprises and individuals, who are in need of customized web solutions. CMSMS is an open source content management system that allows easier and faster website content management and is used by both small and large businesses. Quintet's expertise includes CMSMS theme development, CMSMS plugin development, customization and CMSMS application development. WordPress is the most prestigious and established content management system and blogging platform based on PHP and MySQL. This free and open source platform helps in building dynamic and customized websites or blogs. Get your website developed in wordpress at Quintet. Symfony has the power to create clean high-end complex web applications. It enables Faster web development and cuts down extra overhead. Our team is capable of breaking down complex requirements to quality web solutions by using Symfony. Concrete5 is an open source content management system developed in PHP. Our team can develop impeccable themes and enrich the website with add on/custom features on the Concrete5 installation enabling persons without any technical knowledge manage the content very easily. Any business has to deal with a lot of paperwork and it is difficult to manage and organize them. A good Content Management System is the key to solve all these problems related to organising and managing vast amount of data. Quintet provides efficient CMS solutions for small, medium or large organizations.